Practical, durable and highly stylish, this handy set of six knives is a fantastic housewarming gift or a great upgrade to your current flatware. 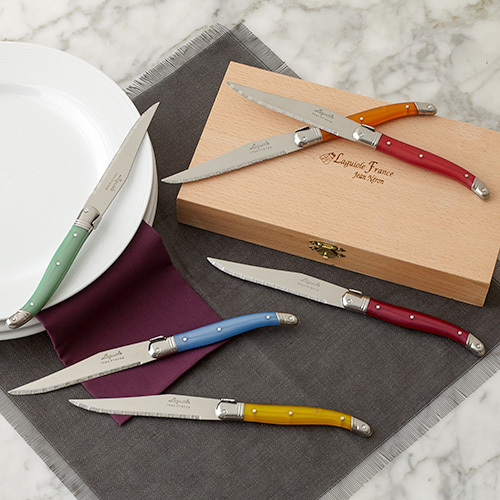 Made of premium stainless steel in France, each knife features a different colored handle and a decorative stainless steel bee on the hilt -- a Napoleonic symbol of immortality and resurrection. Nicely balanced with comfortable grips, these knives provide even and precise control. 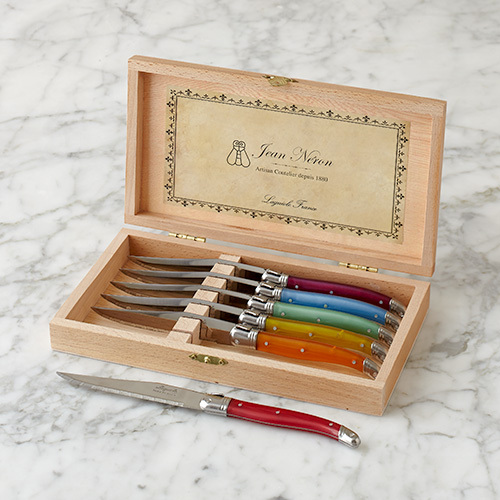 Presented in a smooth-finished, open-faced pine box with the words "Laguiole France" and the iconic French bee emblazoned on the lid, this nice collection is ready for gifting.